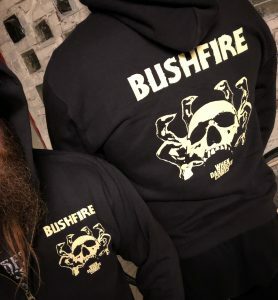 Ladies and gentlemen, the brand new zipped hoodies have been added to our shop! We‘re selling them for 25€ plus shipping. Small WDC silkscreen print on the front, big silkscreen print on the back, color black, brand Fruit of the Loom. ← When Darkness Comes Vinyl added to the shop!